ZOLL® AEDs are primarily sold through authorized distributors. ZOLL takes pride in partnering with exceptional companies around the world. Apply to become a ZOLL AED Distributor. Why Become a ZOLL Distributor? Because you can offer an excellent product from a world-class company with a distributor partnership program in a rapidly growing market. 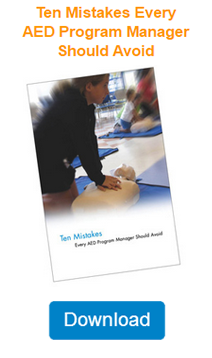 ZOLL believes an AED should not just deliver a shock. It should also help the rescuer provide high-quality CPR. All of ZOLL's Public Access AED sales go through the company's distributor partners. All of our partners have a Manufacturer Representative or a ZOLL Channel Partner Manager who is commissioned for distributor partner sales. ZOLL sells direct ONLY to medical and major accounts. Staff of over 200 Manufacturer Representatives and 17 ZOLL Channel Partner Managers, as well as telemarketers for distributor support. Your Manufacturer Representative and/or ZOLL Channel Partner Manager will support your sales force with training on ZOLL products and help you close business. Our telemarketers generate qualified leads every month. Distributors have access to PlusTrac™, a total solution for our distributor partners, which includes web-based AED management software, medical direction, and online and/or onsite training (certified by the American Heart Association, American Red Cross, or American Safety and Health Institute). ZOLL provides online resources to all of its distributor partners with its distributor website. ZOLL provides marketing support for distributor partners, including customized direct-mail options.